It has not taken any time at all for a campaign to be mounted in support of accused U.S. Army deserter Bowe Bergdahl. It ranges from sympathetic media outlets to his high-powered defense attorney and even a few misguided online support groups. The motivations for the campaign range from typical lawyer tactics to anti-military sentiments, usually from people who do not understand military service and its unique demands. My views on Bergdahl are clear (see my earlier article, Bergdahl - the Army does the right thing). I believe he deserted his post and should be held accountable - let him have his day in court. It appears that he is one step closer to that possibility as the U.S. Army has charged him with desertion and misbehavior in front of the enemy - both serious charges. There is an Article 32 hearing scheduled for April 22. Under the Uniform Code of Military Justice, this hearing is similar to a civilian grand jury proceeding. The convening officer may refer the case to a general court-martial or dismiss the charges. I hope that the U.S. Army will continue to do the right thing as a result of that hearing, which in my opinion is to convene a general court-martial. I also hope that the Administration will not put pressure on the Army to dismiss the case in the wake of the White House's two public relations blunders - the Rose Garden ceremony with the President and Bergdahl's parents, followed by National Security Advisor Susan Rice's blatantly false claim that Bergdahl "served the United States with honor and distinction." 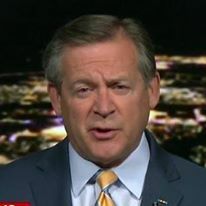 On CNN* this morning, I was asked my analysis of the claim made by Bergdahl that he had left his unit so he could report "a breakdown in discipline and order" to senior military officials and did not intend to desert. I wanted to ask CNN anchor Alison Kosik, "Where do I start?" I enjoy fiction but it has to be good fiction - this does not meet that standard. I have to assume that this claim is part of the legal advice that Bergdahl is receiving from well-known civilian defense attorney Eugene Fidell. First, there is an established chain of command that provides for soldiers to raise the issues Bergdahl claims he was attempting to report. That is best done at an installation to which Bergdahl had access periodically, not by deserting a forward outpost in the middle of the night in search of another unit. Second, if he was truly looking for another U.S. Army outpost, he would have retained his body armor, night-vision googles and most importantly, his weapons. It is inconceivable to me that he chose to leave his post unarmed in the middle of an area known to be active with Taliban fighters on this mythical quest to report problems in his unit. We can expect more of the deflection campaign. However, I am not buying it. * Disclosure: I am a paid military analyst for CNN. It has taken too long, but finally we have criminal charges filed against U.S. Army Sergeant Bowe Bergdahl. 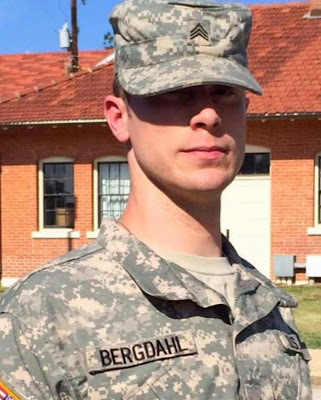 Today Bergdahl's lawyer was provided documents charging the former Taliban captive with desertion and misbehavior before the enemy. I will let the lawyers discuss the actual charges - I will limit my remarks to the fact that charges have been proffered. The Army, no doubt following instructions that likely emanated from the White House, only today announced what it had decided months ago. The delay in making the charges public stems from the mishandling of the Bergdahl case since the Administration made the decision - ill-advised in my opinion - to exchange five senior Taliban officials being held at the detention facility in Guantanamo, Cuba, in return for an American soldier who walked off his post in Afghanistan in June 2009. Despite the delay, there is no chance of distancing the White House from what can only be described as gaffes. First and foremost was the spectacle of President Obama hosting Bergdahl's parents in a Rose Garden ceremony announcing the release of five of the most senior Taliban detainees in U.S. custody for the return of their son. 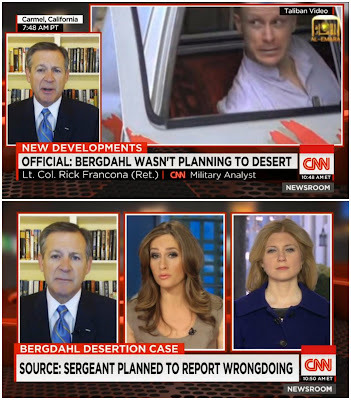 The President's remarks seemed to paint Bergdahl as a hero rather than a soldier suspected of desertion. It is inconceivable that the President, the Commander in Chief, was unaware of the circumstances of Bergdahl's disappearance from his unit at a forward outpost in Afghanistan. When it became obvious the American public did not support the Administration's decision to release five dangerous terrorists for what many observers believe is a deserter, the White House sent National Security Advisor Susan Rice out on the talk show circuit to make their case. Rice's infamous quote will no doubt be replayed juxtaposed with an Army colonel reading the charges of desertion and misbehavior before the enemy. - Rice: "He served the United States with honor and distinction...."
- Colonel John King: "The U.S. Army Forces Command...formally charged Sergeant Bergdahl with desertion ... and misbehavior in front of the enemy...."
Perhaps the Administration should limit Ambassador Rice's public appearances - add this to her assertions that the attack on the U.S. facilities in Benghazi was in reaction to a video, and claims that Turkey had decided to allow coalition use of their airbases for airstrikes against ISIS in Syria and Iraq - both proven to be false. 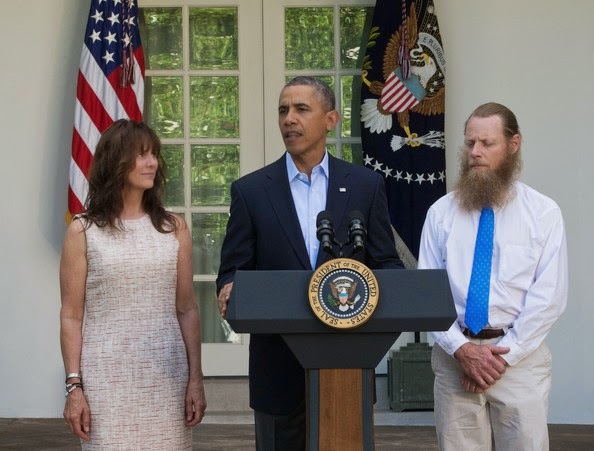 Combined with the almost surreal Rose Garden ceremony, it is understandable why the White House wanted to delay this announcement of the decision to charge Bergdahl with desertion. Soon after the news broke that the Army was pressing charges against Bergdahl, Bergdahl's lawyer released a statement purportedly from Bergdahl himself detailing the conditions of his captivity at the hands of the Taliban-affiliated Haqqani network. 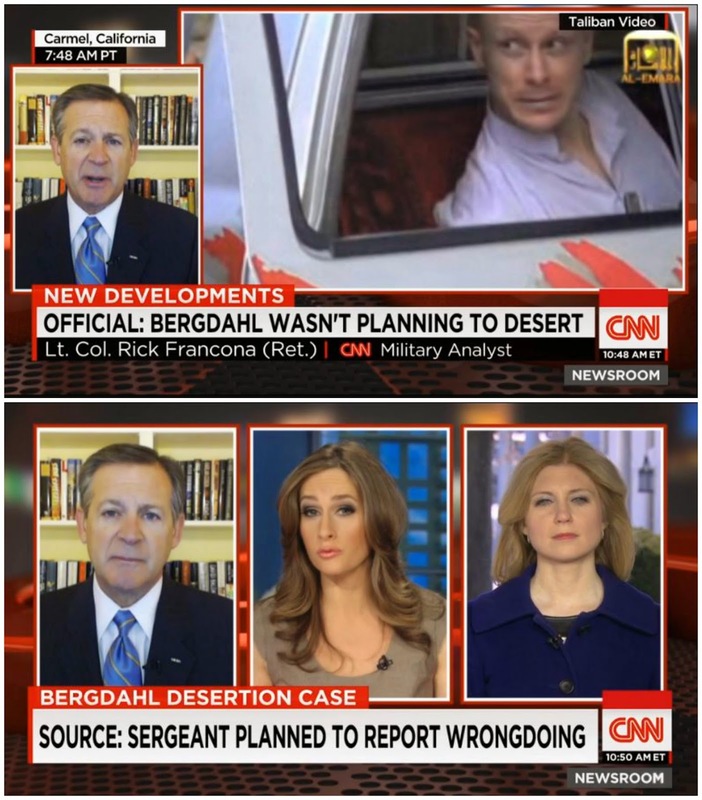 There is neither doubt nor argument that Bergdahl suffered terribly during his five year ordeal. It was an ordeal of his own making, however. In June 2009, Bergdahl walked off his post after detailing in writing his intentions to leave. These writings, as well as emails with his father, will be used as strong evidence against him. 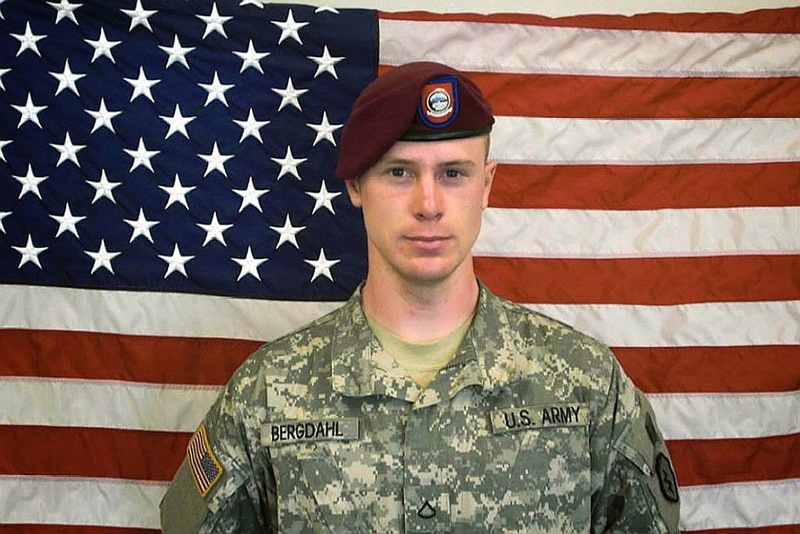 I applaud the U.S. Army decision to move forward with this case and charge Bergdahl. Despite the suffering he endured, that was after he had made the decision to desert his comrades in arms. When Bergdahl walked off his post, he committed the worst crime in the profession of arms - leaving his fellow troops. Those same troops then had to place themselves in the dangerous situation of halting ongoing operations to begin an intense search effort. There are claims, which the Administration denies, that several soldiers were killed in an unnecessary search operation triggered by Bergdahl's decision to leave his post. Whatever the outcome of the court-martial - if there is one - the Army owes it to all of its soldiers to hold its troops accountable for their actions. Bowe Bergdahl will have his day in court to tell his side of the story. 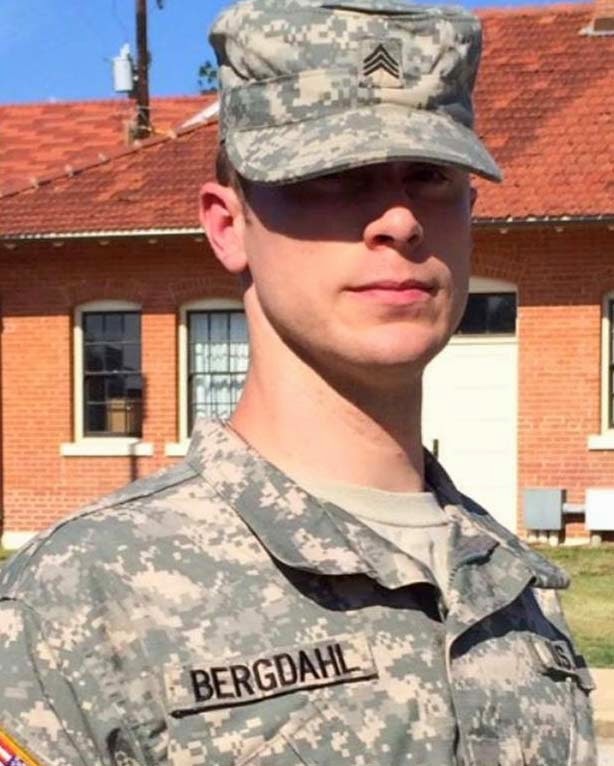 Soldiers hold their own to high standards - they will determine if Bergdahl failed to meet those standards. My compliments to the U.S. Army leadership for doing the right thing. 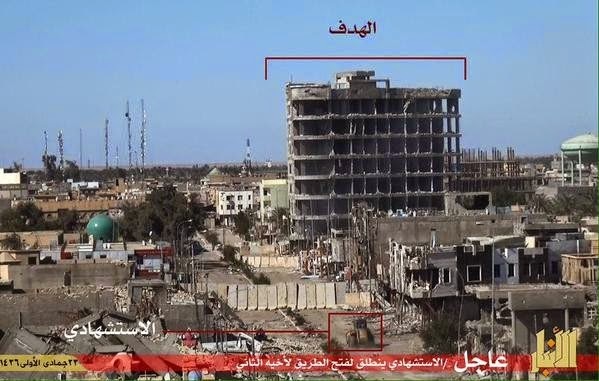 The following series of photographs are from an Islamic State in Iraq and Syria (ISIS) attack on an Iraqi police SWAT headquarters in al-Ramadi, Iraq, mounted on Friday, March 13. 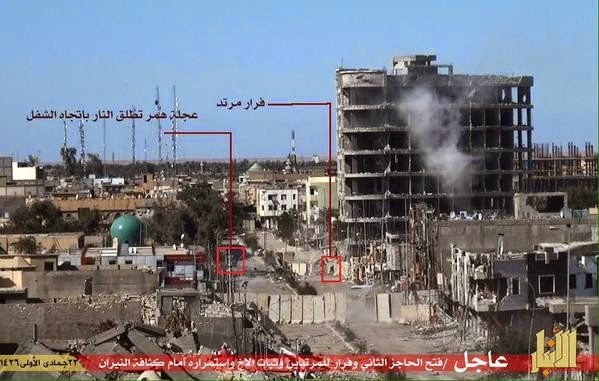 These photographs were posted on several ISIS-affiliated Twitter and Facebook pages. The post details a well-planned and executed attack on what ISIS describes as an Iraqi SWAT headquarters. 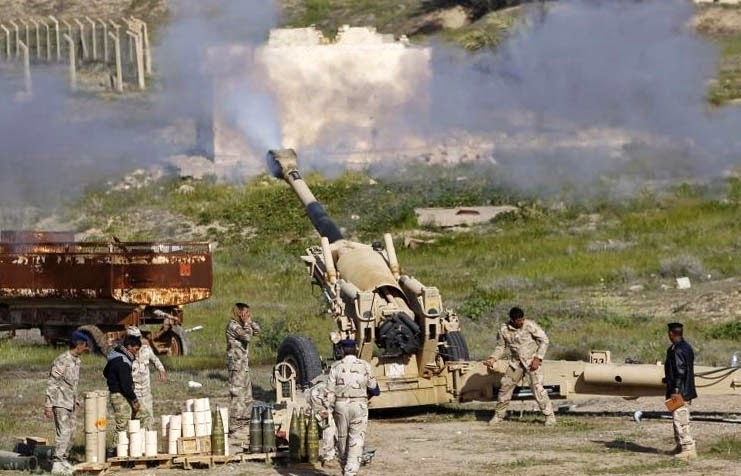 It was one of many attacks launched by ISIS over the last week in al-Ramadi in a possible attempt to divert Iraqi military and police resources from the fighting in Tikrit. Dozens of suicide attackers have sacrificed their lives in the last few days. The target of the attack was a tall building located on al-Mustawda' Street in the Andulus section of al-Ramadi, across the street from the al-Maqbulah mosque. The mosque is the building with the blue dome in the above photograph. In this satellite image, the mosque is in yellow and the target building in the red box. 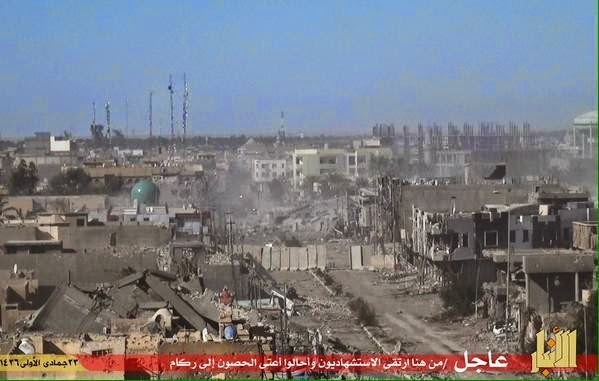 The first attack - the diversion - came from the east along the street just north of the mosque, with the two main attacks coming up the main road from the south. I will not dignify this attack by using the attackers' names, only their nationalities. The first suicide attacker, probably an Algerian, sets off in the direction of the target. He will be heading for the barricade on the east side of the street north of the mosque. The second attacker in a homemade armored truck packed with explosives is moving from the south on al-Mustawda' Street toward the barricade blocking the street to open the way for the third attacker who is behind him. 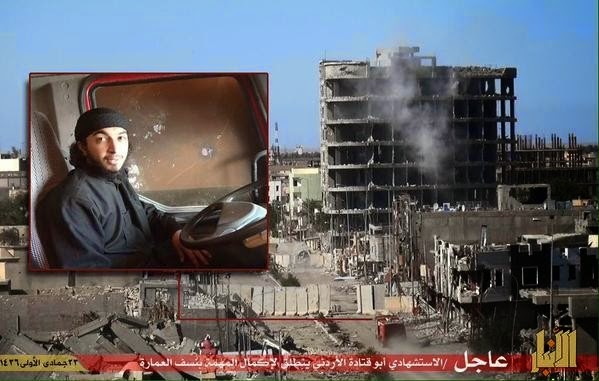 The second attacker, a Syrian, in his explosive-laden vehicle. The second attacker has opened the way and is headed for the second line of defense. The second attacker crashed through the second line of defense, while to the left, the first attacker moves into his position. Smoke from gunfire is visible as the Iraqi SWAT members attempt to stop the attackers. 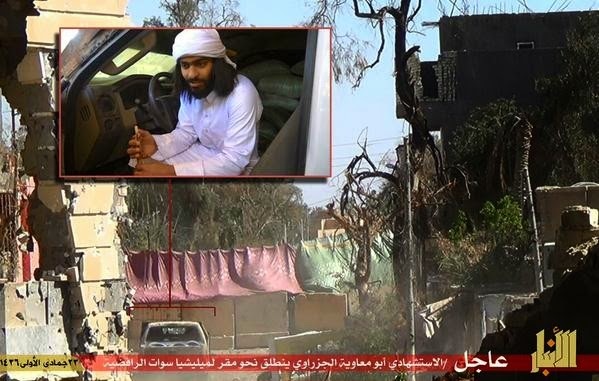 The third attacker, a Jordanian, drives his explosive laden red truck into the breach created by the second attacker. 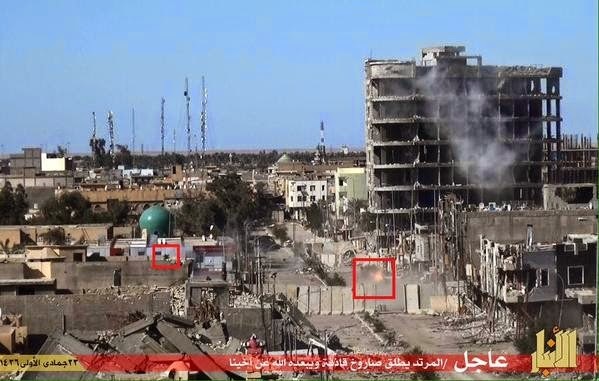 An Iraqi SWAT member (in left red box) hits on the third attacker's vehicle with a rocket. 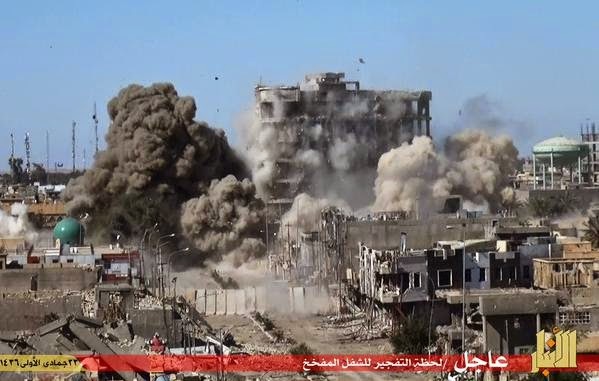 The first attacker detonates his explosives. The second attacker detonates his explosives. The third attacker detonates his explosives. The building is completely destroyed. 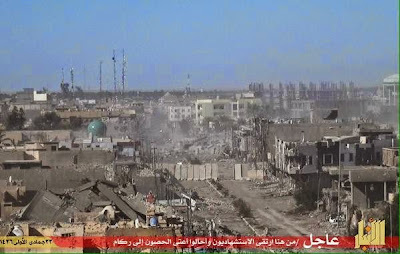 The Iraqi press has reported the attack but have not released the number of casualties. These attacks are devastating, hard to defend against, and indicate the level of commitment of the recruits ISIS is able to attract. I first met Dave Deptula in 1990 on a U.S. Central Command aircraft flying from Washington, DC to Riyadh, Saudi Arabia. 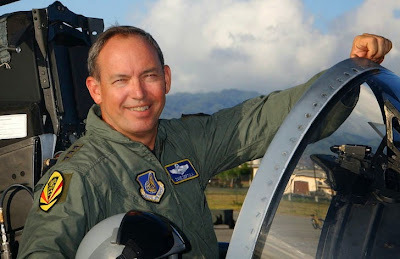 He was a lieutenant colonel assigned to assist Brigadier General Buster Glosson in developing the air campaign that eventually crippled the Iraqis in the operation that led to the liberation of Kuwait. I was a major, assigned as General Schwarzkopf's Arabic language interpreter and adviser on Iraq - we were on our way back from briefing President George H.W. Bush on the options available to take the battle to the Iraqis. On the long flight to Riyadh, we talked for hours about American capabilities, Iraqi defenses, and the personalities of many of the Iraqi generals I had met during an assignment in Baghdad working with the Iraqis against the Iranians; I was the officer tasked with passing U.S. intelligence information to the Iraqis. Even then, it was evident that this was an officer who "gets it." I wrote an article on my personal website, Why is American airpower not stopping ISIS? The article received a lot of attention - I received many requests for interviews. Since I have contractual obligations to CNN, I referred the requesters to General Deptula. When I think "airpower" - I think Dave. He graciously consented to this interview. U.S. air power is making progress but not achieving nearly as much as it could in the battle against the Islamic State because American pilots or forced to go through a long bureaucratic chain before receiving permission to attack obvious targets such as convoys and atrocities being committed in real time. Rules of engagement have long been a point of frustration in Iraq and Afghanistan, but the restrictions placed on pilots are getting renewed attention following a Sunday blog post by retired U.S. Air Force Lt. Col. Rick Francona, a former intelligence officer who is now a commentator for CNN. “The level of centralized execution, bureaucracy and politics is appalling. Pilots have no decision making authority in the cockpit. 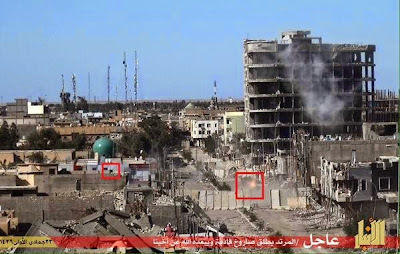 Unless a general can look at a video from an ISR sensor, we cannot get authority to engage. 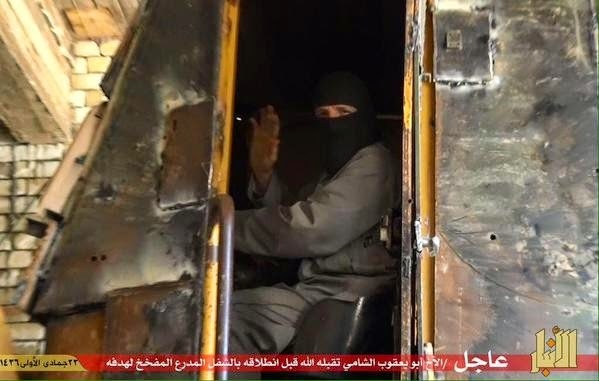 I’ve spent hours watching a screen in my cockpit as ISIS commits atrocities, but I cannot do anything. The fear of making a mistake is now the hallmark of American military leadership,” said the pilot. Retired U.S. Air Force Lt. Gen. David Deptula says that analysis is spot on. (Listen to the interview) Deptula served 35 years in uniform and held command positions in Operation Northern Watch in Iraq in the late 1990s. He also played key roles in orchestrating the air campaign against the Taliban in 2001 and spearheaded the response to the devastating South Asian tsunami. When it comes to the fight against the Islamic State, Deptula says our air campaign is having noticeable results but it’s only a fraction of what is possible. “While what’s going on has been very very effective and air power has halted the further movement of ISIL, we could be so much more effective is we actually put together a coherent, comprehensive air campaign,” said Deptula. The first problem, he says, is the limited amount of activity in the air campaign. “We have to apply air power like a thunderstorm, not like a drizzle. So far, we’ve been applying it like a drizzle,” he said. Deptula says the difference between the air campaign in the Gulf War versus the current operation could not be more different. In the 43 days of Operation Desert Storm, he says there were 1,100 attack sorties and a total of 3,000 air sorties per day. “The average since the 22nd of September of 2014 in Syria has been less than a handful, on the order of 5-10 strike sorties a day. To date, we’ve accomplished about 2,700 attacks since September. If you put that in Desert Storm terms, that’s about two days worth of attacks,” said Deptula. 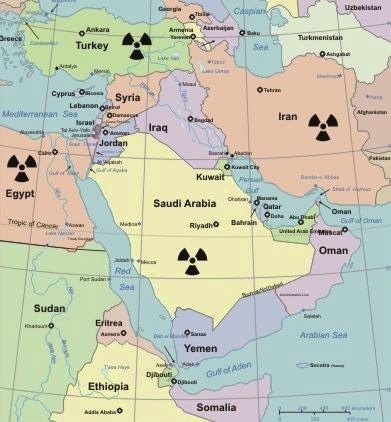 While the circumstances may be different between the two conflicts, so is the mindset of U.S. military planners. Deptula says American leaders are terrified of making a mistake. “There appears to be a disproportionate focus on the objectives being to completely avoid any collateral damage to the exclusion of inflicting the greatest amount of impact on the adversary,” said Deptula. 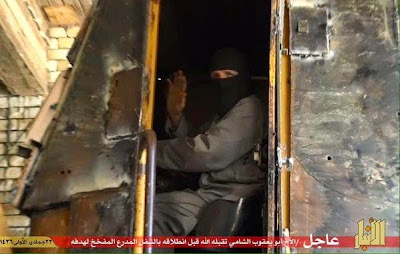 The main frustration for pilots is that while they are authorized to carry out their pre-planned missions, they are not permitted to exercise their own judgment if they spot an enemy convoy or even witness the Islamic State committing barbaric acts against innocent victims. Just as “Chris” noted in Col. Francona’s blog, Deptula says there is a maddening and time consuming chain of command that pilots must follow. “That pilot has to make a request to a tactical operations center, who then has to approve or discern that there are no possibilities for collateral damage or friendly fire in the area. Then they have to pass that request to higher headquarters, who then has to sign off on it,” said Deptula. Deptula says the bureaucracy sometimes goes further than that and opportunities to attack are frequently squandered. “In some cases, depending on if you’re in Syria or in Iraq, then there are other officers from other nations that get involved in the approval process. So just from what I’ve been telling you, you can see we’re not talking about a matter of seconds or minutes. In some cases it may be as long as hours or it may not happen at all,” he said. When it comes to civilian casualties, Deptula says there is often confusion about whether laws or the military’s rules are at issue He says the facts are quite clear. “The laws of international armed conflict understand that warfare is ugly and that casualties will occur. But there’s a big difference between causality of casualties and the responsibility for who accomplishes that,” said Deptula. The general says if civilians die because they’re used as human shields by the Islamic State, the responsibility for the deaths belongs with the enemy. “There is this misplaced concern about creating negative impressions in the media that can be used against those who are actually applying force,” said Deptula. “The sad part of all of this is that adversaries like ISIL, if they are co-mingling with civilians, in accordance with the laws of modern conflict, they are the ones responsible for any casualties, not those applying the force in a legal fashion against the adversary,” he added. Deptula says the effort to avoid civilian casualties at any cost actually winds up getting more people killed. 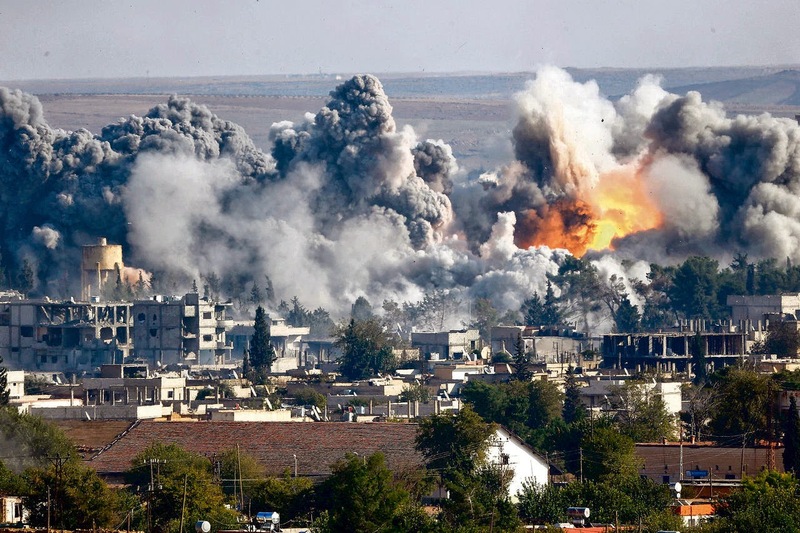 “If we get over-consumed with casualties and collateral damage avoidance, that is going to lengthen the campaign and ultimately increase overall civilian casualties. The best way to minimize casualties is to conduct a swift, rapid and focused operation to eliminate ISIL,” said Deptula. For Deptula, the solution is simple: trust the pilots. “You need to delegate execution authority and engagement authority to the individual who has the greatest situational awareness at the time, and that’s the pilot who can clearly see and discern what is going on,” said Deptula. This is not just military theory for Deptula. He says that strategy was very effective while he served as Joint Task Force Commander during Operation Northern Watch, a mission enforcing no-fly zones in Iraq in 1998 and 1999. “Instead of having my pilots have to ask, ‘Mother, may I?’ for engagement authority, I delegated to them engagement authority based within the context of the pre-brief rules and the degree of certainty of what they were engaging,” said Deptula. How much of a difference would we see in the fight against the Islamic State if pilots had engagement authority? Deptula says it would be instant and obvious. “You’d see the difference immediately and it’d make a big difference, because now you’re not missing valid, legitimate and timely targets that have been missed because of an excessive vetting process and an over-subscription to a focus on casualty avoidance as opposed to mission accomplishment,” said Deptula. The United States-led coalition has been bombing targets of the so-called Islamic State in Iraq and Syria (ISIS) since August of last year. 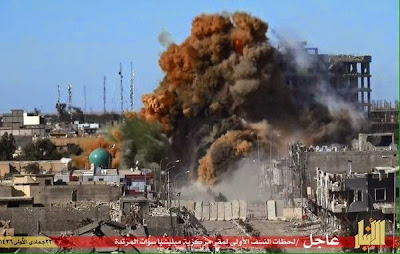 Hundreds of targets have been destroyed, and despite claims to the contrary by White House, Department of Defense and Department of State spokespersons, ISIS continues to mount attacks and seize territory. How can that be? Being attacked by the world's best air force - over 80 percent of the sorties are being flown by the U.S. Air Force - seems to have had little effect. This was driven home to me on a personal level when ISIS stormed several Assyrian villages in the al-Hasakah area of Syria. Several of my Arabic language instructors in the 1970s are of Assyrian descent, in fact many speak Aramaic/Syriac natively. Last week, the son of one of these instructors called to tell me he had just spoken to family members in Tal Tamr (about 20 miles northwest of al-Hasakah), the first Assyrian town seized by ISIS fighters. The town sits at a strategic intersection. According to Yoni, 40 trucks - mostly equipped with machine guns - blew into town and killed the first six men they encountered. They then burned the church and rounded up all the women and children they could find. The children were being held in cages under threat of being burned alive. ISIS offered to exchange the women for prisoners held by Syrian Kurds. (Some of these exchanges later took place). His question to me, "Why can't we see 40 armed trucks in a convoy and take them out?" I initially thought that maybe there were not enough targets for the pilots to attack. Then I took a look at the suite of intelligence, surveillance and reconnaissance (ISR) assets - manned, unmanned and strategic - and deduced we must have virtual synoptic coverage of the areas of interest in Syria and Iraq. When you look at a map and the vast areas under ISIS control - about the size of Great Britain - most of it is just empty desert. The main areas of interest are in the river valleys: the Tigris, Euphrates, Khabur, Diyala, etc. Those we can cover. If we have decent sensor coverage of the area, the problem must be something in the command and control system. I was slow to come to this realization because I thought we had fixed this decades ago. The key to airpower is flexibility. My own experience in this goes back to the latter stages of the war in Vietnam. I was a Vietnamese linguist monitoring North Vietnamese communications, figuring out where the enemy was, passing that information to command and control elements who would try to direct attack aircraft onto those targets. This was over 40 years ago using the technology of the day. Surely we have improved. Actually, I know we improved. Those of us who remained in the Air Force after Vietnam developed the intelligence-operations cycle to the point that our collection of information from a variety of sensors - imagery, electronic, communications, signatures, etc. - could be used to put weapons on targets inside of an enemy's decision cycle. In other words, use intelligence to guide kinetic operations before the enemy knows what hit him. We did this well in Operation Desert Storm. Decisions were made at the tactical level - targets were hit when discovered. We also designated areas in which pilots were free to engage targets as they appeared. One of the tactics was to delineate "kill boxes" in which no friendly forces were present. Anything that appeared to be military was engaged - it had a devastating effect on the Iraqis. What follows is from a current U.S. Air Force pilot, who we will call Chris (tac callsign "Hedgehog"). According to Chris, all the lessons learned in Vietnam, and used effectively during the first Gulf War, have been forgotten. This really bothers those of us who fought hard to institutionalize the tactics developed from the lessons we learned the hard way. "The level of centralized execution, bureaucracy and politics is appalling. Pilots have no decision making authority in the cockpit. 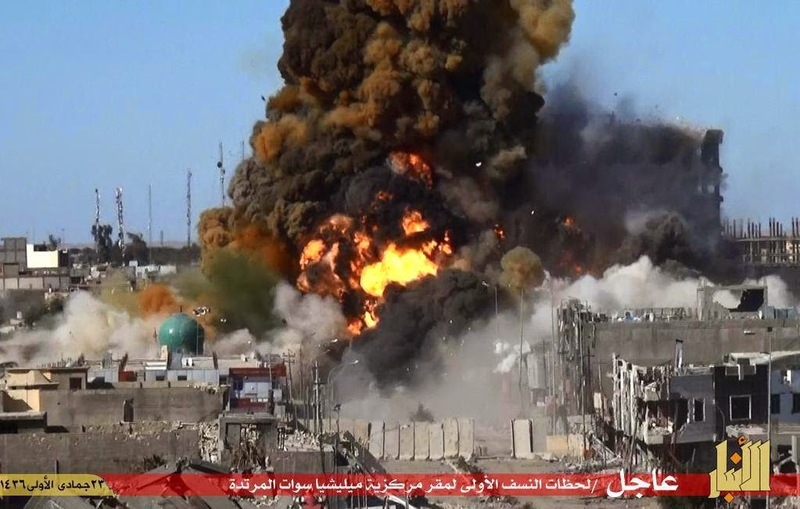 Unless a general can look at a video from an ISR sensor, we cannot get authority to engage. I've spent hours watching a screen in my cockpit as ISIS commits atrocities, but I cannot do anything. The fear of making a mistake is now the hallmark of American military leadership. "We are not taking the fight to the enemy. 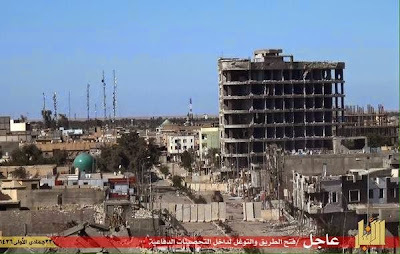 Their centers of gravity are in al-Raqqah, but we don't attack there. Truck traffic flows on the roads between Syria and Iraq unimpeded. We often orbit for hours over a suspected target, waiting for a decision to engage. Trust me, we pilots are trying to get the job done, despite the bureaucracy." There is a problem, yes, but it is not in the theater of operations - it is in Washington and Tampa (U.S. Central Command headquarters at MacDill Air Force Base). You have placed trained, committed American Airmen in harm's way to execute the military option as part of American foreign policy. Get out of the way and let them do their jobs. Our pilots know what the bad guys look like - let our pilots kill them.